We offer our guests free Wi-Fi, a free continental breakfast, a seasonal swimming pool and business center. Red Roof Inn Marion, VA is a pet-friendly hotel. 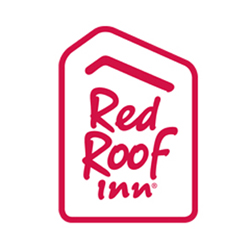 Red Roof Inn Marion, VA is one of the best budget hotels in Marion, VA that is located right off of US 11 with easy access to I-81. We are also near Hungry Mother State Park, Hungry Mother Adventures, Mount Rogers National Recreation Area, Lincoln Theatre, Holston Hills Country Club, Scenic View Golf Course, Marion Plaza Shopping Center, the US Army Reserve and Smyth County Community Hospital. We offer our guests free Wi-Fi, a free continental breakfast, a seasonal swimming pool and business center. Red Roof Inn Marion, VA is a pet-friendly hotel.